We’ll also discuss how to create your own custom formats as well as re-usable document templates for existing formats. 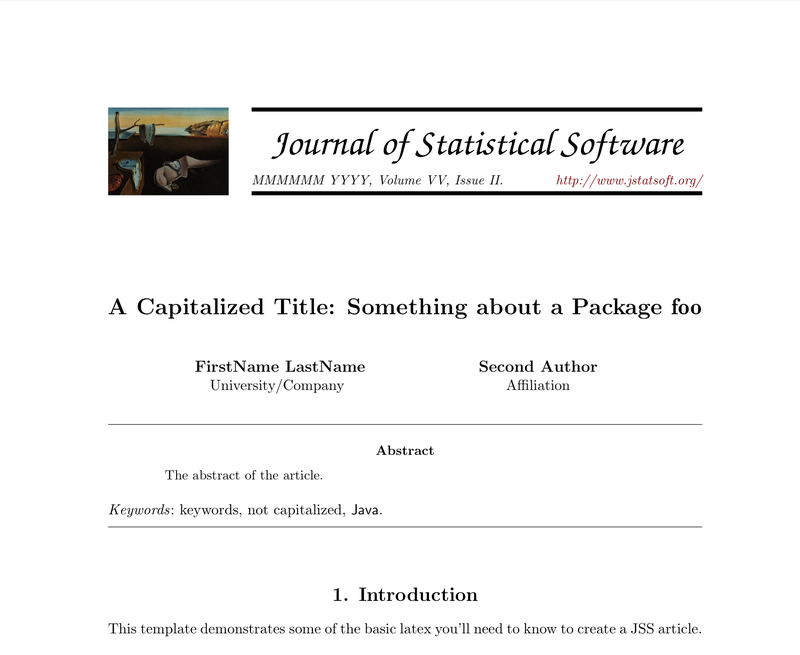 title: "An Example Using the Tufte Style"
See the tufte package website for additional documentation on using the Tufte custom formats. See the rticles repository for more details on using the formats included with the package. 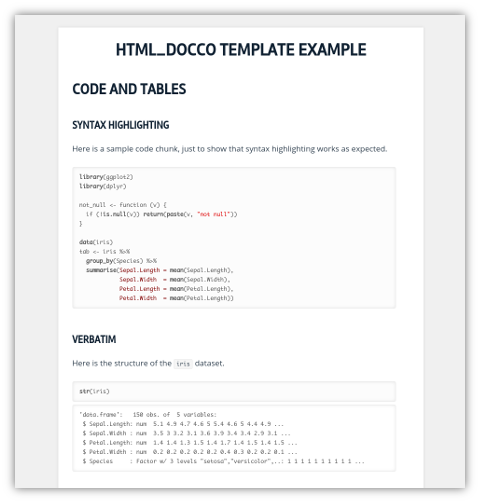 The source code of the rticles package is an excellent resource for learning how to create LaTeX based custom formats. 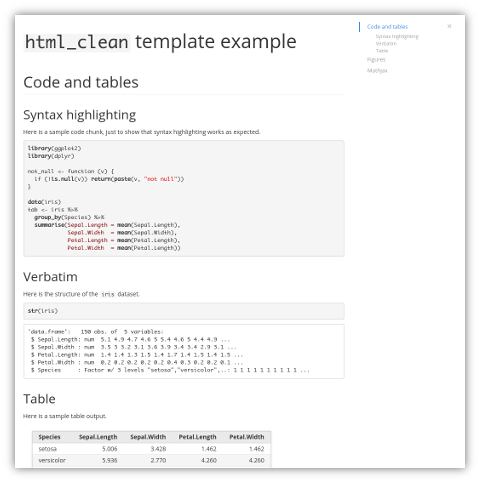 See the rmdformats repository for documentation on using the readthedown, html_docco, and html_clean formats. Hopefully checking out some of the custom formats described above has you inspired to create your very own new formats. 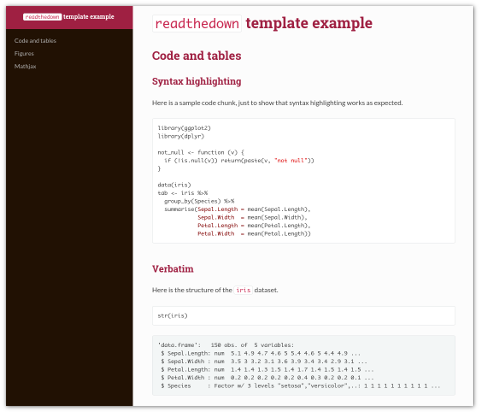 The R Markdown website includes documentation on how to create a custom format. 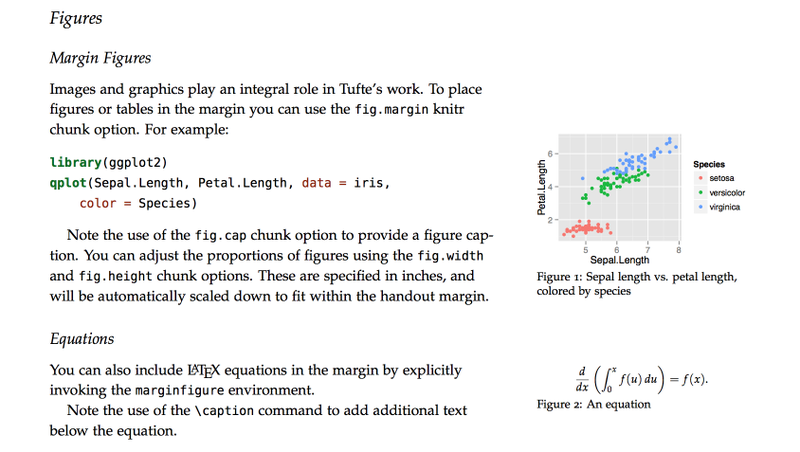 In addition, the source code of the tufte, rticles, and rmdformats packages provide good examples to work from. 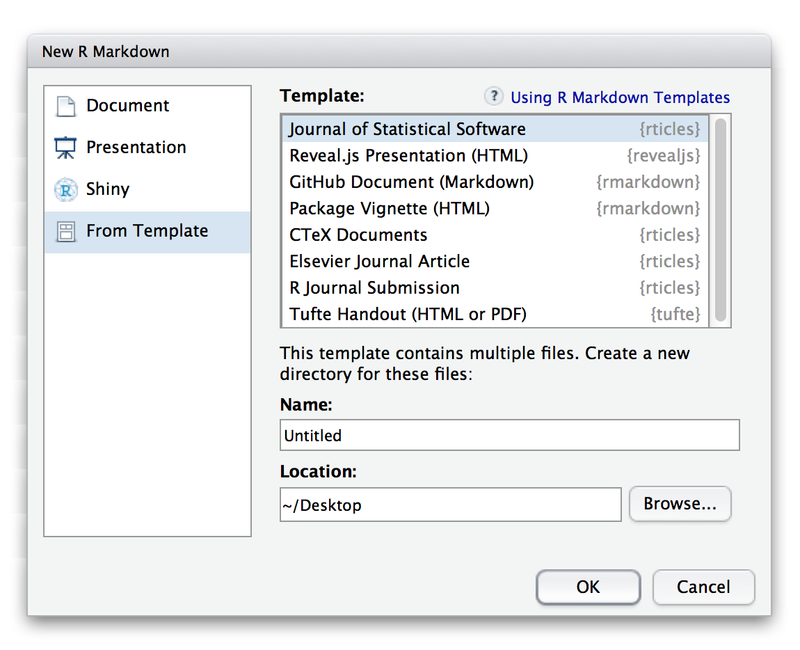 Short of creating a brand new format, it’s also possible to create a re-usable document template that shows up within the RStudio New R Markdown dialog box. This would be appropriate if an existing template met your needs but you wanted to have an easy way to create documents with a pre-set list of options and skeletal content. See the article on document templates for additional details on how to do this.